Dominic Johnson is Reader in Performance and Visual Culture in the School of English and Drama, at Queen Mary University of London. He is the author of Glorious Catastrophe: Jack Smith, Performance and Visual Culture (2012); Theatre & the Visual (2012); and The Art of Living: An Oral History of Performance Art (2015). 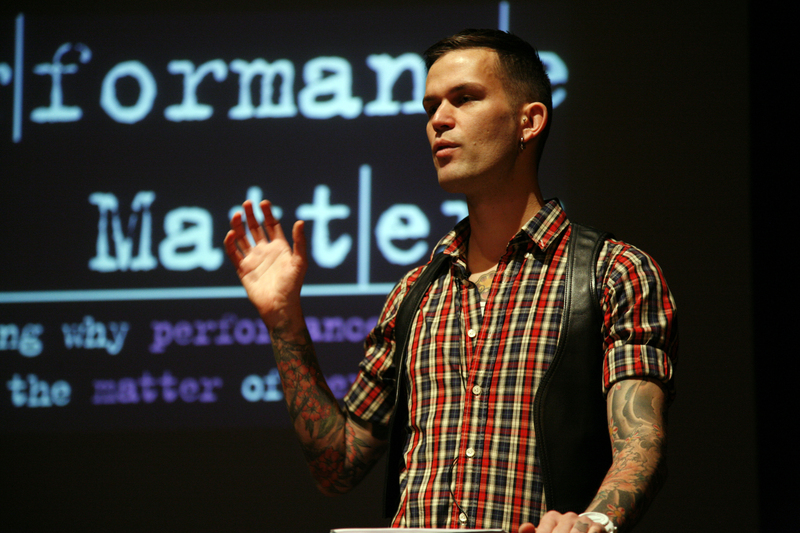 He is the editor of five books, including most recently Pleading in the Blood: The Art and Performances of Ron Athey (2013); and (with Deirdre Heddon) It’s All Allowed: The Performances of Adrian Howells (2016). A new monograph, Unlimited Action: The Performance of Extremity in the 1970s is forthcoming from Manchester University Press in 2018. He is also an Editor of the journal Contemporary Theatre Review.